DESCRIPTION: This report describes the current situation of car servicing in Russia. It discovers market volumes for car services, incl. body and paint repair, car wash and tire services, as well as estimations of the market potential in general. The Russian market accounts approximately 46.000 car service stations of different sizes. The market structure differs completely to the most European markets. The market share of authorized car dealers is about 9 %; 32% accounts for independent service stations. The other 59% are highly specialized car service stations such as tire specialists, car wash, body and paint repairers etc. The Russians have spent for car service approximately 1.5 trillion RUB in total in 2014 (approx. 19 billion EUR), incl. inspection, all body repairs, car wash etc. All prices are net. Depending on your invoice address location thereon is still to pay sales taxes (Germany currently 19%). Our shop is intended for companies, entrepreneurs, and freelancers. Private persons do have to pay 19% sales taxes. AUTOSTAT Analytic Agency presents the next release of the marketing report "Market of Car Service in Russia". 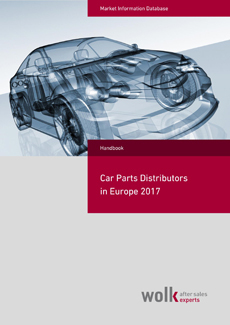 This report focuses exclusively on the market of car service. This market assessment was carried out in two directions. The first one is the classification of the market participants and their proportions in the regions. The market participants are authorized dealers, independent service stations and specialized service stations, which provide limited range of car service (e.g. carwash, tire service, electronic control system diagnostics, etc.). At the same time private mechanics were grouped into a separate category Do it yourself/ Do it for me, as it is quite difficult to estimate their number due to the lack of any public information. We were able to assess the market participants in 67 regions of Russia in this report due to new information. 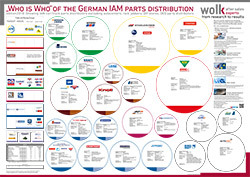 The second direction is the annual sales of car services, including body and paint repair, carwash and tire works. The method of the market calculation is based on the detailed data of the car parc in Russia on July 1, 2014, as well as monitoring of the prices for car service in Moscow, St. Petersburg and in the regions. In addition, we took into account car owner’s preferences to kind of service stations which have been corrected in accordance with the results of the survey conducted in 2014. The market volume was divided into three main clusters: authorized dealers, independent service stations and market potential. The market potential includes repairs and car services carried out by car owners or private mechanics. 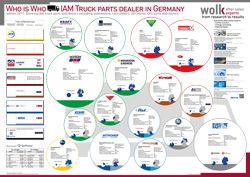 Every cluster is subdivided into services for domestic and foreign car brands, as well as vehicle age groups. 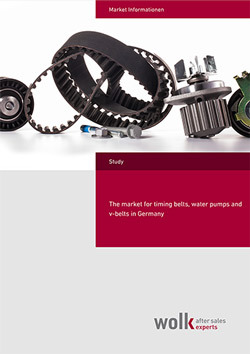 These two lines of the research enabled us to calculate the average annual volume of authorized dealer services for a particular brand without spare parts and consumables costs. Moreover, we also calculated the saturation of car service with warranty cars, i.e. 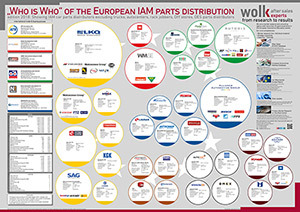 the number of warranty cars per an authorized dealer in every region. This report is prepared by using desk research method and conducting phone and online surveys. The major information sources are our own databases and information obtained from the public sources. The structure of the presentation of the data and the calculation methods are developed by AUTOSTAT specialists. Nevertheless, they are all based on fundamental principles of market volume calculations, common in the world practice. All data presented in the report is clearly organized, compiled in tables and illustrated with graphs and diagrams if necessary. 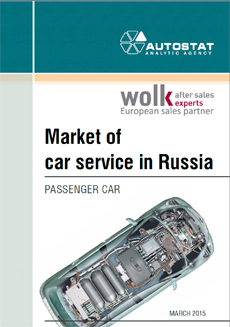 Description: Market structure and volumes of the Russian car service market.